Evolv's Maverick Crash Pad has your back while you fly offhigh-baller problems. Its large landing zone is Evolv's biggest yet, ensuringyou get all pad and no rocks if you fall. The gusseted closure systemeliminates dead spots when the pad is open, and the rubberized corners keep thepad from moving on the ground while you're climbing. Its taco-style closuresystem keeps your belongings secure while you hike to your boulder. 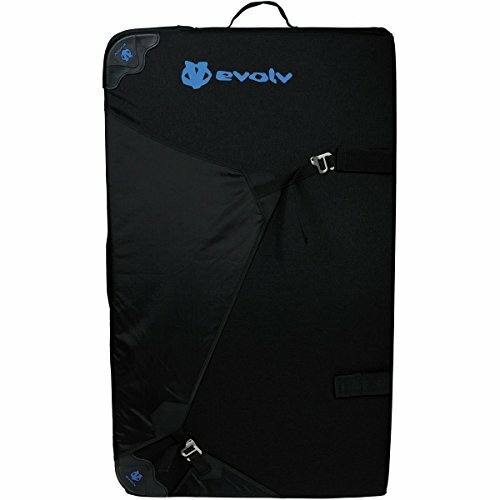 If you have any questions about this product by Evolv, contact us by completing and submitting the form below. If you are looking for a specif part number, please include it with your message.